“It’s easy to find history written by those who win, those who hold power. It’s hard to find history written by the ones who lose,” says the mystery history teacher, Kat O’Malley. 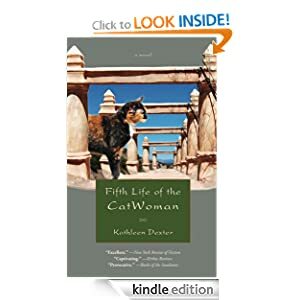 Unbeknownst to her students, she’s living the nine lives of a cat, and her history lessons come from four hundred years of underdog experience with witch trials, prejudice, intolerance and poverty. With much coaxing from the school’s headmaster—a man with as many secrets in his past as Kat has in hers—“the CatWoman” ventures out from the mirage oasis she shares with fifty cats to teach lessons that never made it into the history books. Through her considerable gifts as a storyteller, she teaches a new generation to live as if they, too, had to live nine lives and jump back eight times into any messes they create. But when history repeats itself and the nightmare intolerance of Kat’s past resurfaces, will she retreat forever into the safety of her cat-filled mirage? Or will she embrace her new life, her teaching and the love of the one person who knows her secret?